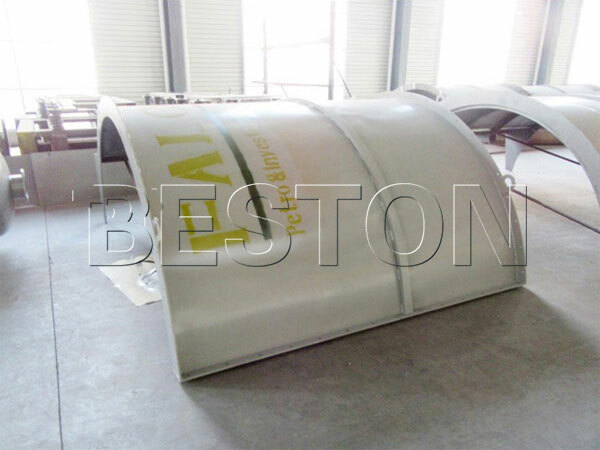 Beston waste plastic pyrolysis plant exists for converting waste plastics, including handbags, bottles, and films into energy through the waste pyrolysis technology. Now, how does it work? With the waste pyrolysis technology, you can process waste plastic to fuel oil, carbon black and combustible gas. 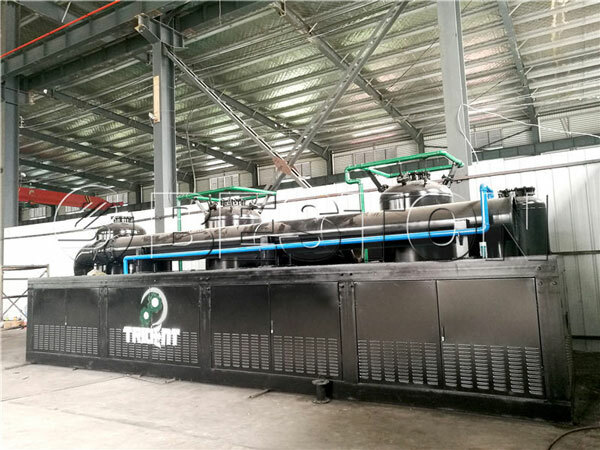 The machine subjects the waste plastics to very high temperatures and oxygen-free conditions to produce the three products. Furthermore, this plastic recycling plant helps eliminate pollution. In addition, you will actually get profits while reducing environmental pollution. As you have already seen, the machine produces three key products. You can use them in the following ways. Fuel Oil: It is a useful substance in the society. You can choose to sell it as a fuel or transform it into diesel or gasoline using the plastic to diesel machine. You will start seeing the benefits of plastic recycling. Carbon Black: This is the other important product. You can use it as active filler or as a black dye. You just need a carbon black production plant to reprocess the black carbon product into a higher quality product if you have the need. Combustible Gas: Most of the combustible gas to heat its reactor. That helps reduce the energy costs. In other words, the entire process is energy efficient. We have small scale plastic pyrolysis plant, semi-continuous pyrolysis plant and continuous plastic pyrolysis plant available. However, the continuous one has turned into the world’s most popular. Why? The main reason is that the plant has a higher degree of automation and its working is efficient. You might now be wondering how the plant works. The following is the systematic process that should help you understand how the plant converts plastic waste into oil energy. This is the first stage. The plastic waste has to pass through this stage particularly if it has a higher water content. Then put the plastic waste into the reactor through the automatic feeding section. When feeding the waste, ensure that you have left at least 1/3 of the space in the reactor is empty to allow smoother rotating. If you are going to process waste tires, a shredder is required to cut the tire into small piece to save the process time and energy. Use wood, coal, natural gas LPG, wood, or any other type of fuel to heat the reactor. When the temperature reaches between 150 degrees and 200 degrees, the plant will release oil gas. The higher output rate occurs when the temperature hits between 280 degrees and 350 degrees. The oil gas gets into the air manifold. The oil gas has to pass through the pipeline to get into the air manifold. Then air manifold separates the heavy oil gas from the light oil gas. The plant liquefies the heavy oil gas and drops it down into the heavy oil tank. The light oil gas rises to the oil condenser for liquefaction. Finally, the fuel oil is transported into the storage tank. Beston continuous pyrolysis plant aims to make the whole easy and safe to operate. Transfer of combustible gas into the hydroseal. The combustible gas not liquefiable is transported into the hydroseal. After desulfurization, cleaning, and purification, the machine transports it directly to help heat the reactor. In this way, the operating cost can be greatly reduced. After the oil gas has completely entered into the oil tank, the machine discharges the black carbon automatically. The exhaust gas goes through the de-dusting system. Before its emission, the exhaust gas has to go through the de-dusting system. That is among the reasons why the Beston products are very popular compared with the others in the market. The plant features a casing outside the reactor. This is the feature that differentiates the Beston products from the others in the market. Between the reactor and the casing, the plant feature refractory materials that prevent heat release into the environment and burning down of the reactor. In other words, the casing increases utilization of heat and prolongs the pyrolysis reactor’s useful life. What’s more, the insulating materials reduce fuel consumption. Therefore, reducing the total production cost. The heating structure is a wonderful innovation in the plastic recycling industry. It combines both the benefits of hot-wind heating and direct heating. Therefore, the structure improves the heating speed and prolongs the service life of the reactor. Furthermore, it enhances the production efficiency and reduces the running cost. 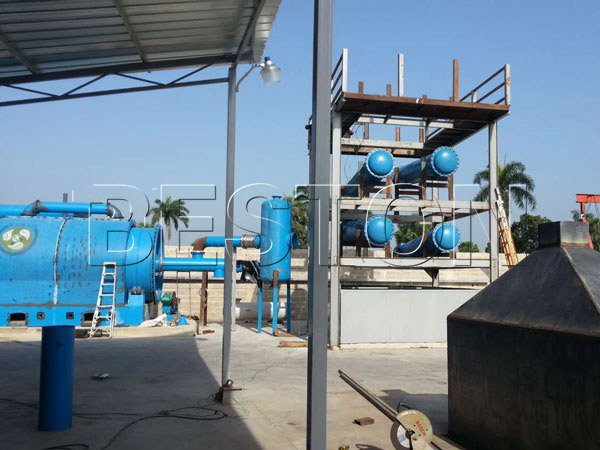 The special waste plastic pyrolysis plant design is one of the big features of our plant. It does not affect the environment. With the plant, you do not have to worry about harming the environment. The fact that the plant produces gas in its working process and purifies it before release means that there is no air pollution. Our plants are the most affordable in the market. What’s more, it has a longer useful life than most other plants in the market. At the same time, the plant will help you make huge profits in short periods, while you use less money for maintenance purposes. After deciding to purchase the plant, you can visit us. We offer first-class-after-sale services, which include installation help, running and periodical call visits. You can use the plant to recycle other materials. In addition to the many benefits, it can achieve waste tire pyrolysis, medical waste disposal, and oil sludge treatment. However, you should expect different products depending on the materials you are recycling. For plastic recycling, you will always get carbon black, fuel oil, and combustible gas. When recycling tires, you will get carbon black, tire pyrolysis oil, combustible gas, and steel wire. For oil sludge, you will get waste water, solid waste and fuel oil. Beston waste plastic pyrolysis plants are popular in South Korea, Brazil, Hungary, and South Africa, just to name a few countries. Most recently, we have exported it together with waste oil distillation plant to Dominica. 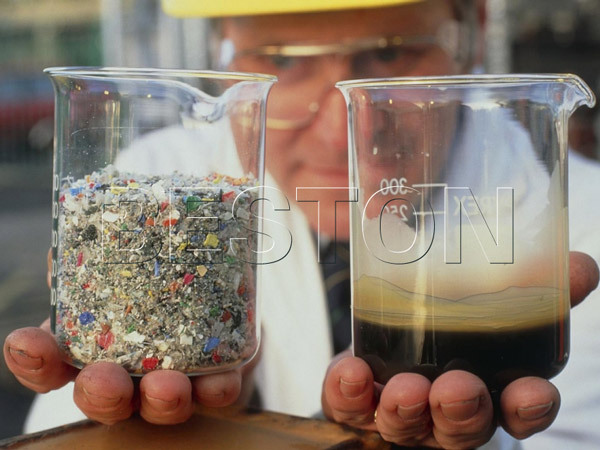 The information should help you understand why most individuals are going for the Beston waste plastic pyrolysis plant. For example, the plant features a casing that prevents heat loss to the environment and prolongs its life. We offer after sale services to all our customers, and you can use the product to recycle other materials. If you have interest, you can contact us based on the following chart to get your free inquiry now.